We’re a one-stop-shop and offer a variety of services that will help you take your concept for a project from the initial idea through to prototyping. Our design team develops composite part designs, partnering with clients through each step of the process – from conceptual models, through prototyping parts, to production ready components. 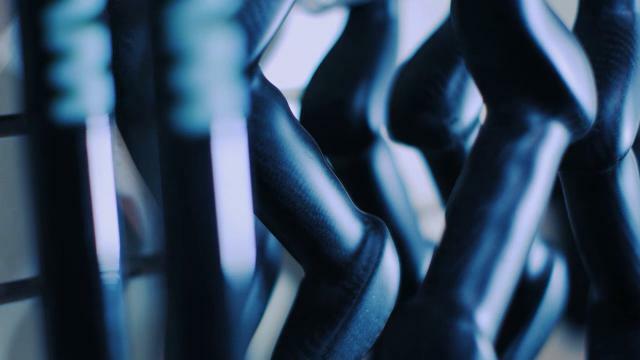 Our designs are developed by minimizing weight and cost while increasing performance and are always created with the manufacturing process in mind. Whether a client is looking for an initial composite material evaluation or for a full testing protocol to verify that a material or product meets performance requirements, we can help. Our testing team is dedicated to providing quality services for clients, quick turn-around times and testing performed to industry standards (ASTM, ISO, etc.) with a strong focus on thermal and physical materials property testing. Our testing capabilities are complemented by those of other regional facilities – if we do not have the testing capability a client requires, we can help the client find a laboratory that does. As a complement to our testing services, we offer custom specimen preparation in accordance to applicable standards. We have access to a full suite of preparation equipment including a 3-axis machining centre, diamond wafering saw, rotary notcher and precision grinding and polishing equipment. We have partnered with the Industrial Technology Centre, a fully certified test facility, to provide a full range of mechanical testing services. 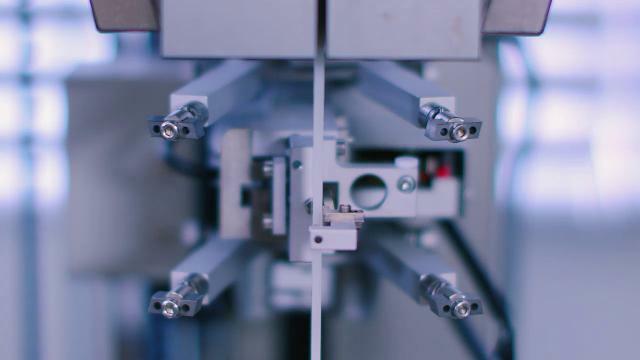 This partnership ensures clients’ composite test needs are met with the shortest possible turn-around times and full access to experienced specimen preparation and mechanical testing capabilities. Thermal analysis is the study of material properties as they change with temperature. 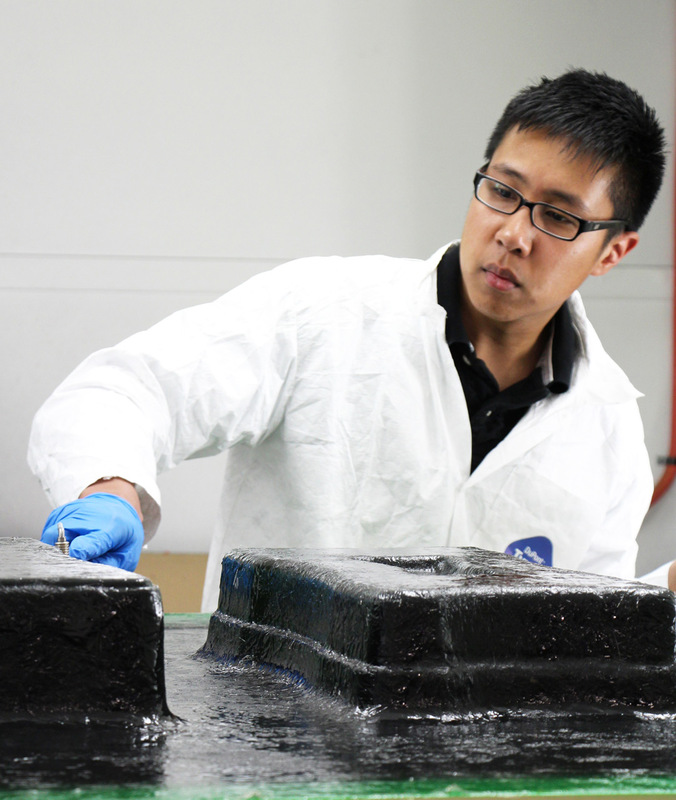 For traditional glass and carbon composites, resin systems are the primary focus of thermal analysis as fibre reinforcement is relatively inert at lower temperatures. 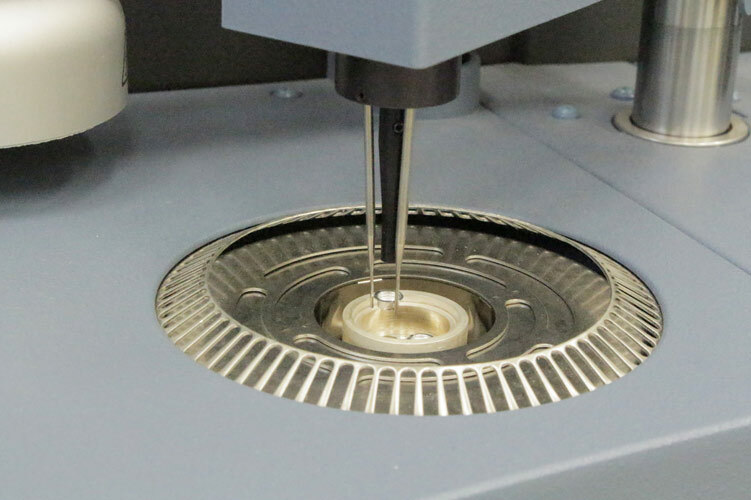 Determining resin matrix thermal performance, cure completeness and temperature dependent physical properties are key to consistently producing high-quality parts. 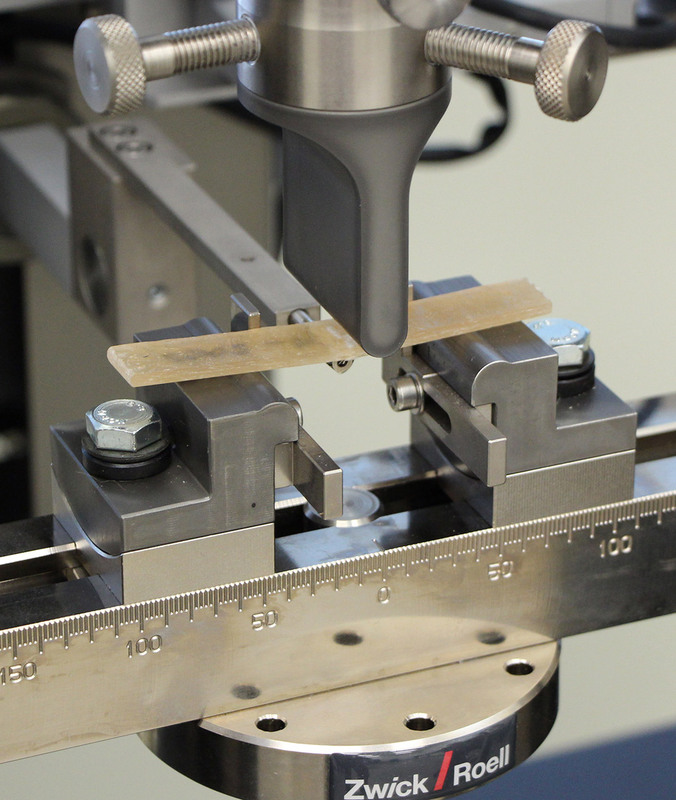 Composite fabrication success demands knowledge of key physical properties and we provide complete testing services to ensure parts will perform as they are intended to. Physical property tests can help clients make the right choice when selecting new processes and improving existing ones. Our prototyping team provides fabrication services for all composite related parts. We specialize in custom shaping by machine or hand and can use many composite materials and processes. We have fabricated prototypes as small as hand held articles and as large as car hoods and vehicle-sized assemblies. Our business development team works with clients from the concept phase of a project right through to production phase providing logistical and business support throughout. We use an in-house, practiced project management system that allows projects to stay within scope, on task, on time and on budget while producing quality deliverables. As part of this service, we help clients source funding through our extensive knowledge of funding sources to support composite technology and product research and development activities. 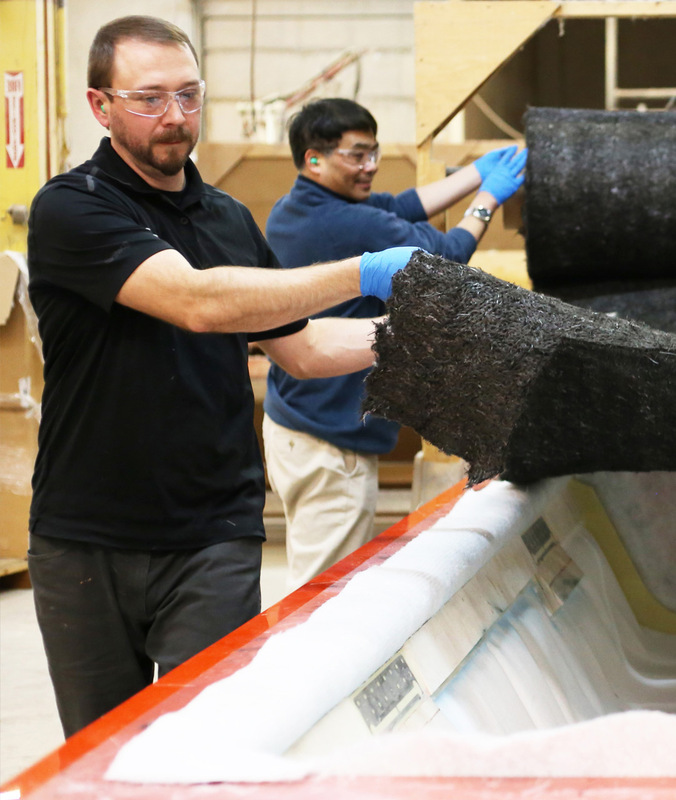 A core component to driving economic growth and encouraging startup companies in the composites industry is assessing and supporting business case and planning documentation to ultimately reduce the risk for entrepreneurs and expanding organizations. We work with clients to assist them in their business planning activities, ensuring the success of each project. We have a vast network of connections from years of collaboration and partnering in a wide range of disciplines within the composites industry including composite manufacturers, designers, test laboratories and material suppliers. We also have an established network of connections to numerous government agencies, funding bodies, research firms and academic institutions. This network ensures that appropriate resources are utilized and project partnering is accessible to each of our clients. We coordinate and host technical workshops known as Special Interest Groups (SIGs) to support education and technology transfer throughout the composites industry. These informative sessions focus on awareness and education of technical issues common within the composites industry and are relevant to all members of the composite industry from designers to suppliers to academics. We also develop and provide specialized training sessions, with both academic comprehension and hands-on exposure that are tailored to a client’s needs.